The Johnson 18 was one of the new generation sportboats. It was the first computer-optimized one-design small sailboat, intended to maximize enjoyment of the sport of sailing across the widest possible range of age, size, and skill level. 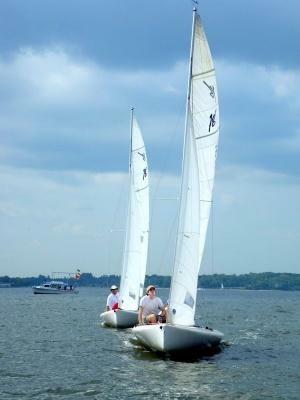 The Johnson 18 Class Association is a non-profit organization devoted to the needs of Johnson 18 owners, and offering information and contacts to people interested in these boats. Come sail with us! the Class Association, and sailing in general.